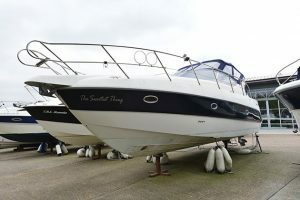 During a recent visit to Aquanaut’s factory, managing director Mark Bakker proudly showed me a very special boat that his company had built for a client who, through serious illness, had become paralysed from the neck down, rendering him immobile. 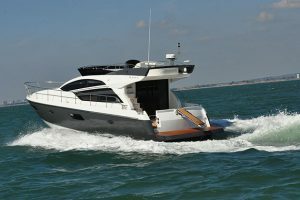 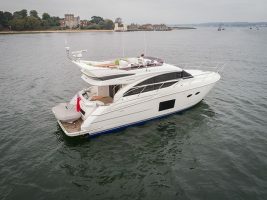 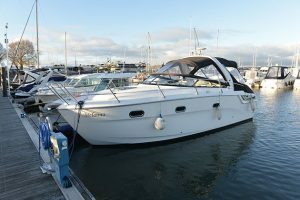 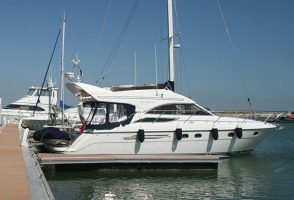 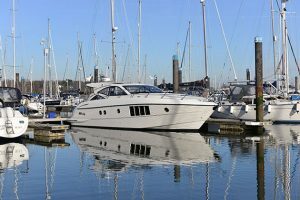 Not wanting to give up boating, he turned to Aquanaut to see what they could do for him and the result was an incredibly specialised cruiser totally customised to fit the owner’s needs. 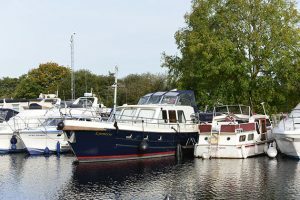 A total of five lifts combined with sliding tracks allow the owner to board, access the saloon, move to the lower deck, access the master cabin forward and from there, the ensuite heads. 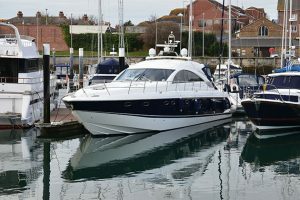 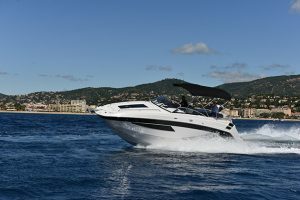 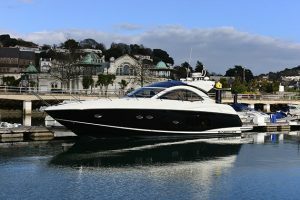 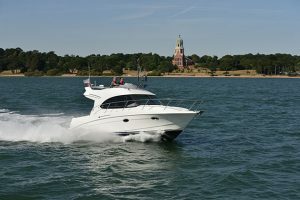 “While the major benefit in use of steel boats is their sheer strength, the huge advantage in build is the massive ability to customise,” says Dominic Smulders, owner of UK Aquanaut dealer Bray Marine. 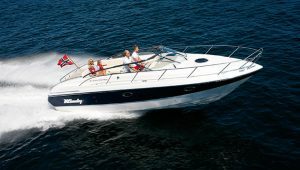 It’s this flexibility that has spawned a diverse range of Aquanaut models from the turn of the century onward. 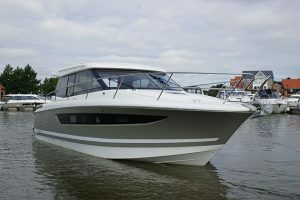 The Drifter version that you see here, for example, is a range that spanned five sizes between 10m and 15m, all available in both aft-cabin (AK) and aft-cockpit (AC) layouts. 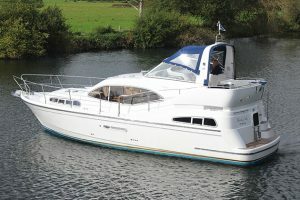 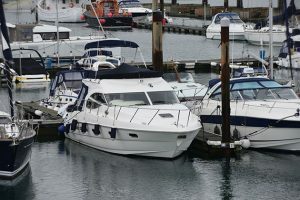 But beyond that you’ll find European Voyager versions – essentially the same multi-chine hull from the waterline down, the European Voyagers are aft-cockpit flybridge variants. 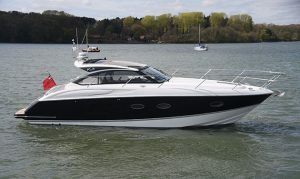 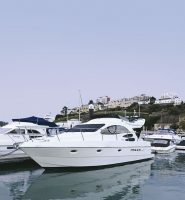 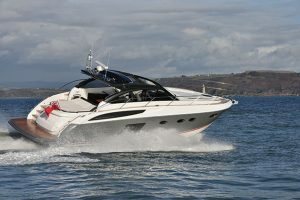 Or opt for the Privilege range – same again below the waterline but with softer, sexier styling. 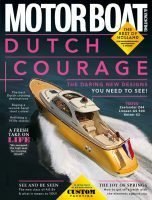 They cost more money as the steelwork is more complex but they offer a stylish take on the Dutch steel concept.